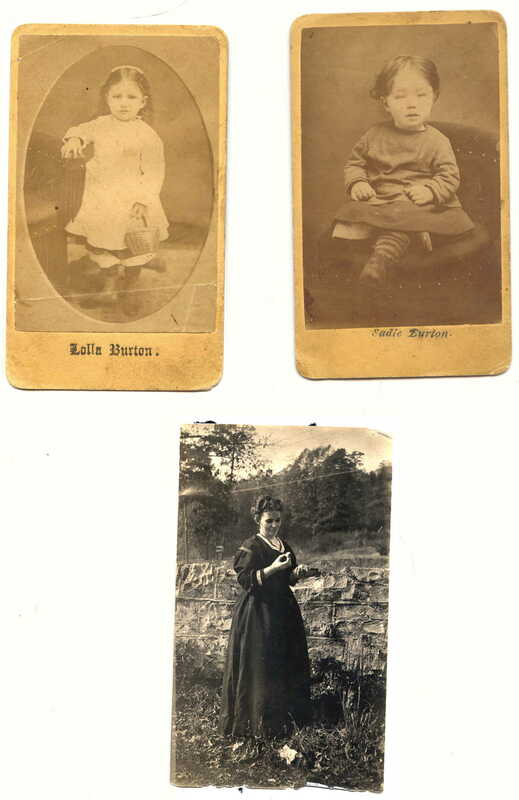 I found these photos about my family photos. I thought you might like to add them to your website. You can see I have front and back scans. 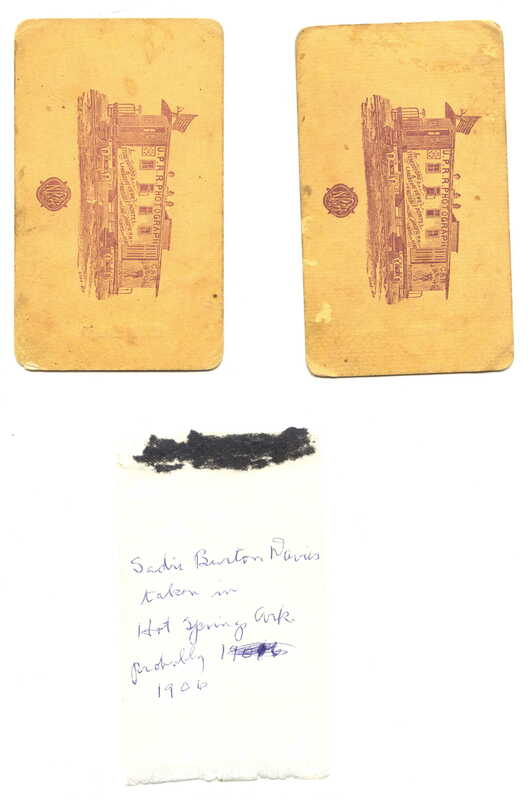 Sadie Burton was born 1873 both in Indiana. This family lived in Elkhorn, Douglas County, Nebraska in 1875. Elkhorn is close to Omaha so I think these photos were taken in Nebraska [by photographer J. B. Silvis, the Union Pacific's nomadic photographer, in his photo rail car].